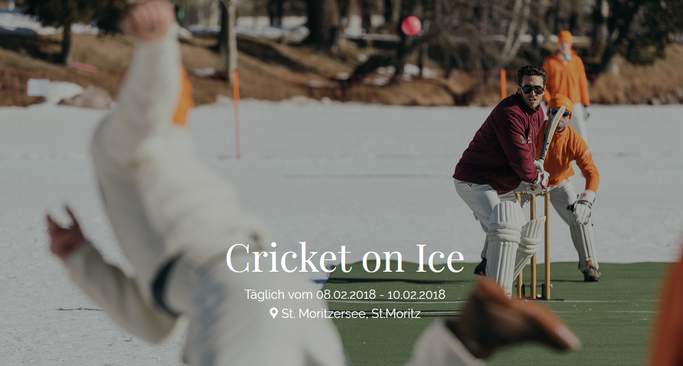 Cricket on Ice 2018, the 31st edition and the most prestigious event in the domestic Swiss cricketing calendar, will take place on the lake of St Moritz from Thursday 8th to Saturday 10th February 2018. As in previous years, four teams have been invited to participate in this three-day Twenty20 competition for the honour of lifting the prestigious Cricket On Ice Trophy. 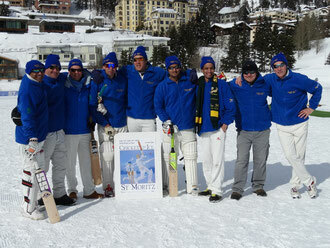 St Moritz Cricket Club (strictly by invitation only) is a conglomeration of friends & guests of Cricket on Ice. 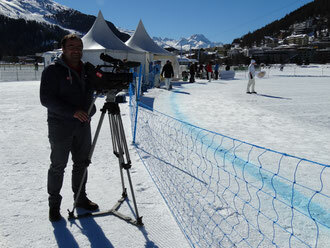 Drawing cricketing guests from across Switzerland & the world. Ex-England Jack Richards will attend the 2017 Cricket on Ice Trophy (23-25 February 2017). 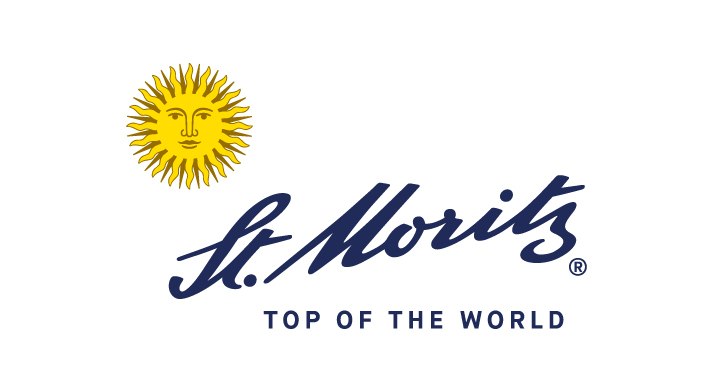 Jack Richards, an ex-international and all-round cricketer, best known for his efforts behind the stumps for England and Surrey, will play for St Moritz Cricket Club and hold a Q&A session at the tournament gala dinner on Saturday 25th February. With great pleasure we can announce that the third team to compete in next years Cricket on Ice #COI will be COI regulars, Old Cholmeleians XI. The Old Cholmeleians are old boys of Highgate School, a private school situated in North London. 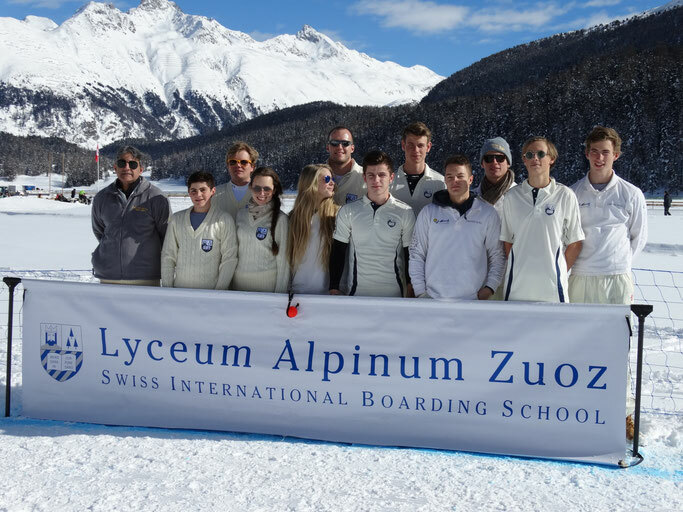 Introducing the Lyceum Alpinum XI, the second of the four teams at the next Cricket on Ice tournament (23-24.2.2017). 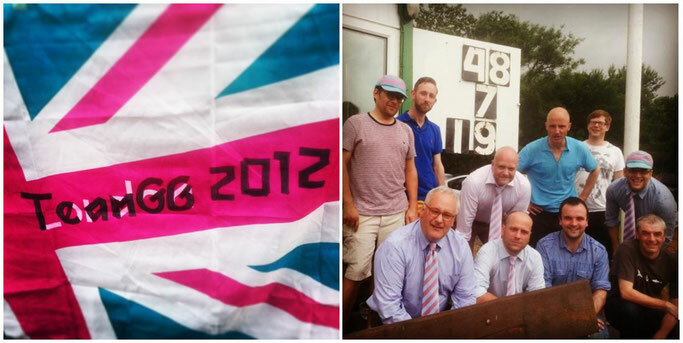 Introducing Gentlemen Gardeners Cricket Club, Cricket on Ice debutantes in 2017. 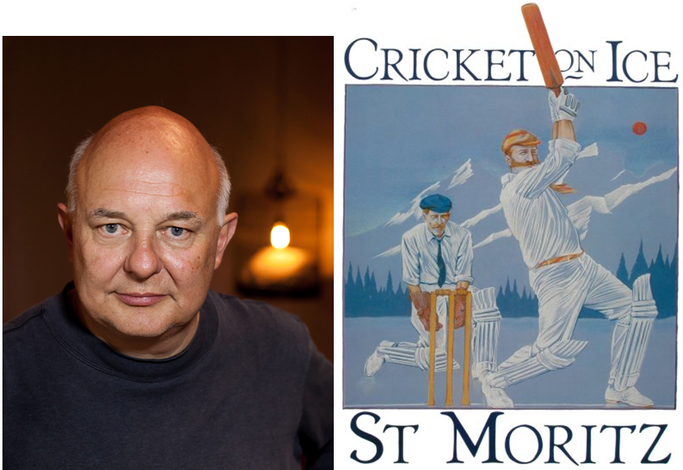 St Moritz Cricket Club, organisers of the annual Cricket on Ice Trophy, announce that Rolf Sachs has agreed to be their patron. 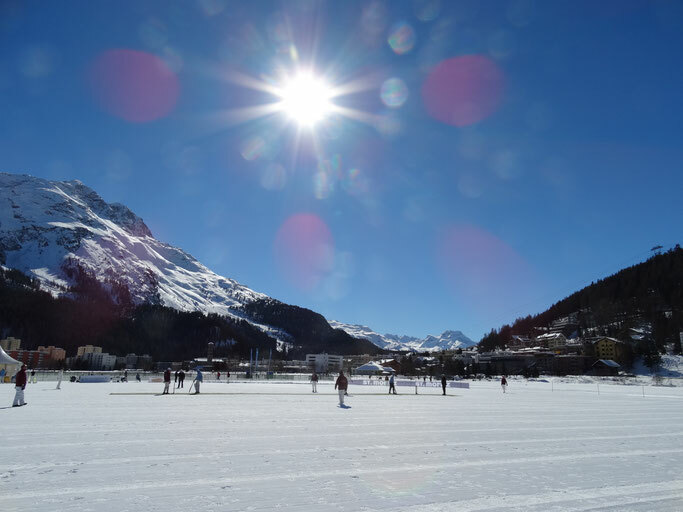 The 30th Cricket on Ice will take place on the lake in St Moritz from 23rd - 25th February 2017. 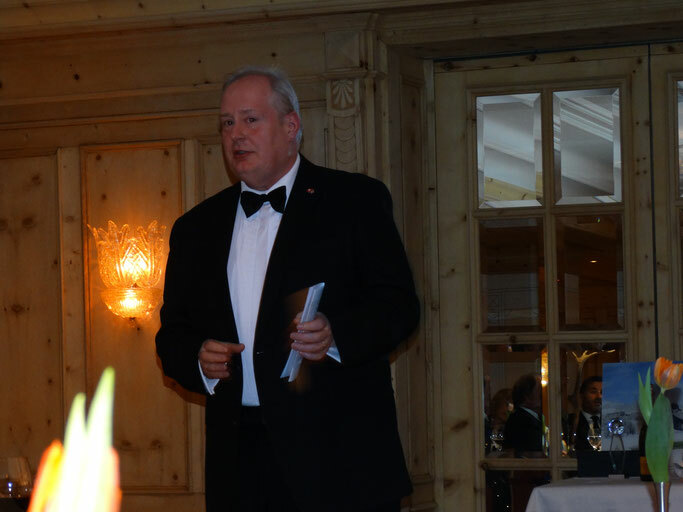 HM Ambassador David Moran has confirmed that he will attend Cricket on Ice 2017. 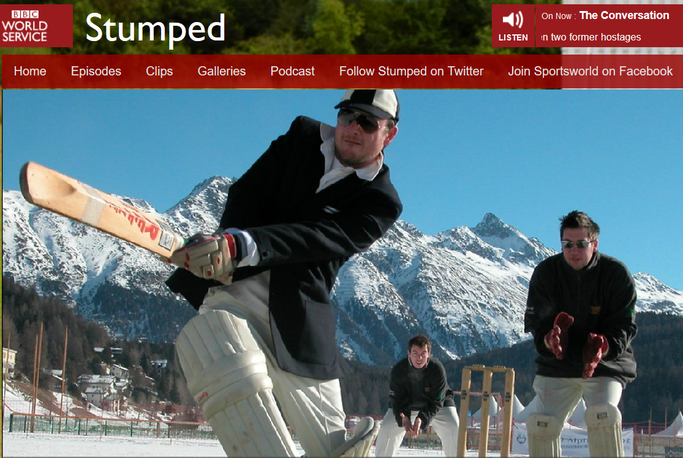 Cricket on Ice featured on the BBC World Service Radio's "Stumped" on Saturday 27th February 2016. 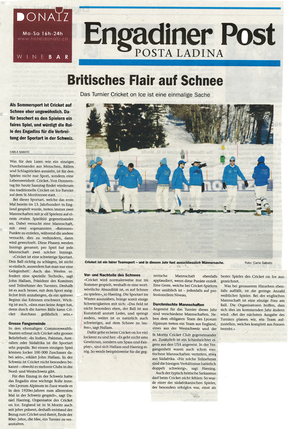 Cricket on Ice appeared in the "Engadiner Post" on Saturday 20th February. 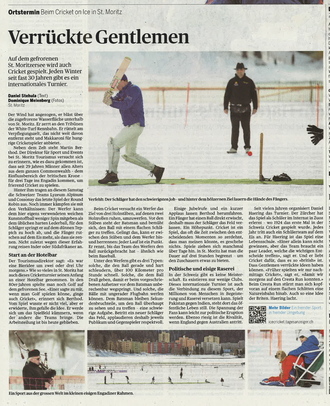 An aricle on the Cricket on Ice Trophy appeared in the Swiss-German newspaper the "Tages Anzeiger" on Monday 22nd February. 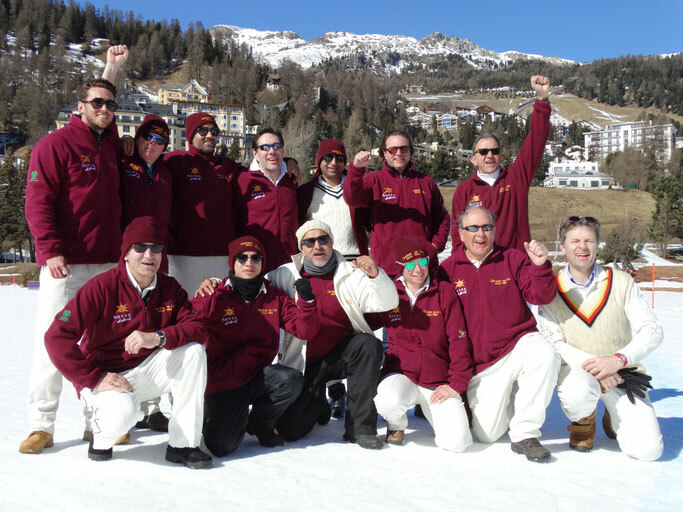 Lyceum Alpinum win the 29th Cricket on Ice Trophy (18-20.2.2016) with three wins from three matches against St Moritz, Old Cholmeleians & Cossonay. 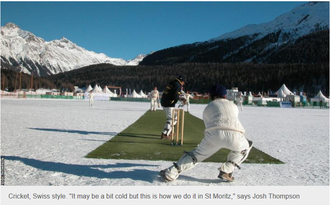 From Cumbria to Cape Town via Honolulu and Switzerland, BBC Sport presents the world's most picturesque grounds & Cricket on Ice makes the top ten! 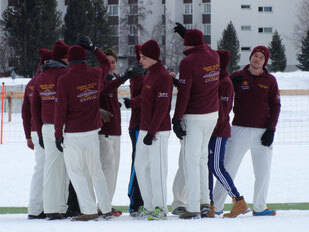 Cricket on Ice featured on local Reto-Romanisch speaking television RTR.